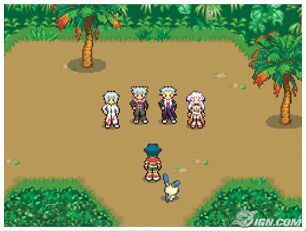 An action RPG set in the world of the Pokemon Ranger movie. You play as a Pokemon Ranger. 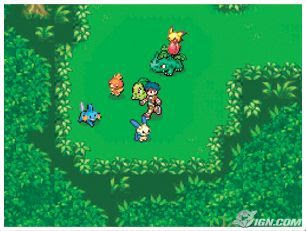 Different from a Pokemon Trainer, a Ranger travels the lands, using Pokemon in a fight to defend nature from baddies. 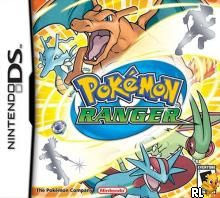 Its release precedes that of Diamond and Pearl, and all three games link up together for some top secret bonuses.Players play as a Pokémon Ranger who works to help people, Pokémon and nature. The game introduces a new way to catch Pokémon using the stylus called Capturing. This game can be played using only the touch screen and stylus, allowing for a unique experience found only on the Nintendo DS. The player captures Pokémon by drawing circles around them with the stylus. By doing this, they are communicating with the Pokémon and sending it their feelings. 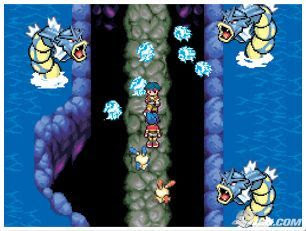 Capturing a Pokemon allows players to use its ability and solve various problems they will face along the way (such as clearing obstacles blocking the path). They also can use their ability to help capture other Pokémon.